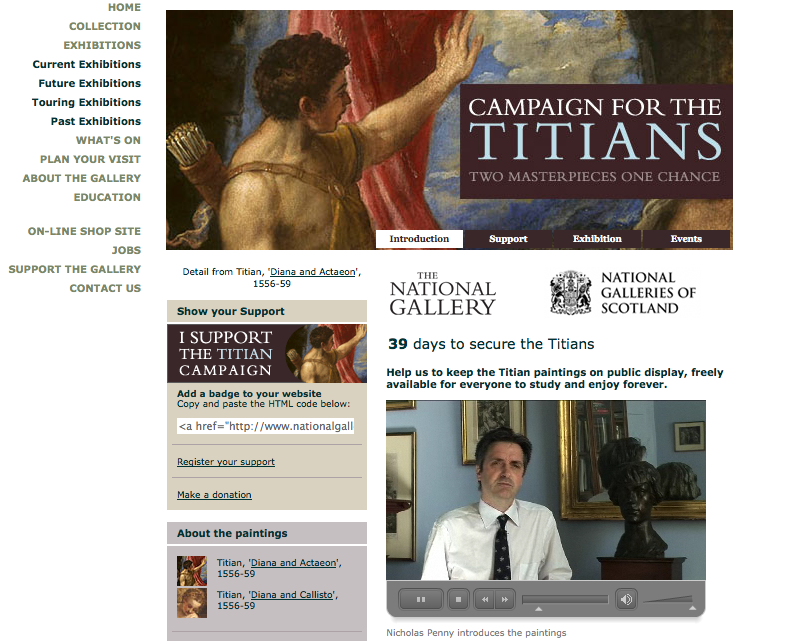 Help to keep the paintings on public display in the UK by making a donation now. Every donation large and small will make a real difference. Please visit the information desks in the foyers of the National Gallery. Staff can take your cash or cheque donation and give you a receipt. You can also make a donation online on the Just Giving website. Please Note: In the event that the National Gallery is unsuccessful in raising sufficient funds to purchase Titian’s 'Diana and Actaeon', this donation will be used to save other masterpieces. The artist Tracey Emin has said that the Government faces embarrassment if two paintings by Renaissance master Titian are lost to foreign buyers. The artist Tracey Emin visited Downing Street yesterday to deliver a letter signed by Lucian Freud, Antony Gormley, David Hockney and 37 other artists.